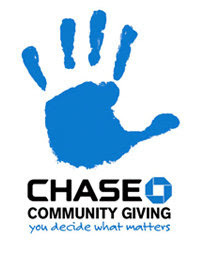 Guess which charity is being featured by Chase Community Giving? Yep, the Gwendolyn Strong Foundation!!! Chase Celebration Reception - You're Invited! 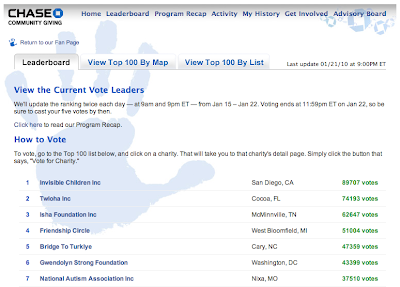 We Are In 4th Place For The $1M—Keep It Up! It's OUR Time: Help Make A $1M Miracle An SMA Reality! This is IT! 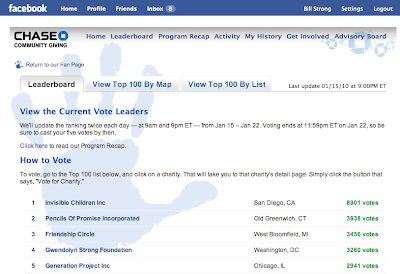 Final round voting for the Chase Community Giving campaign on Facebook IS LIVE and runs through January 22. Below are simple instructions on how you can vote for the Gwendolyn Strong Foundation to help make a $1M MIRACLE an SMA reality. OUR PLEDGE ---> We're pledging to give 100% of the $1 Million from the final round of the Chase Community Giving campaign to SMA awareness and cure focused research programs and the SMA community is going to help us decide how to spend it!